People are often asking where I teach classes, so here is a list of classes over the next year or two which I will be involved in! These are all residential courses. 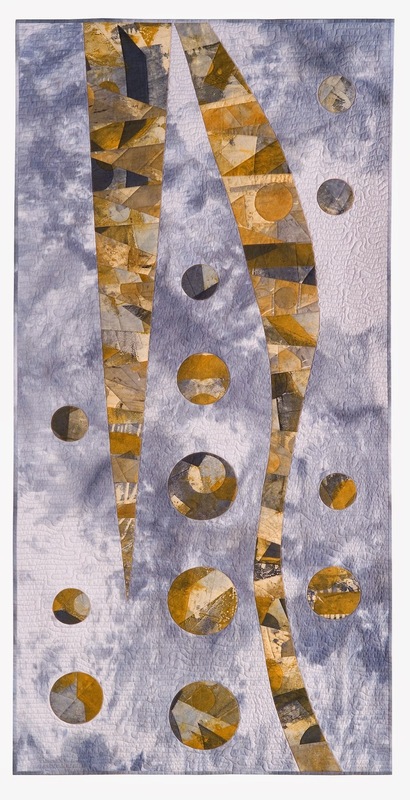 17th -19th Oct 2014- learn how to make abstract art quilts, using an embellisher [is it still sitting in the box?] and machine embroidery techniques. [Ipswich]. This course is filling up fast! 27th Feb - 1st March2014 - course content as above, but to be held in Birmingham. 11th - 13th April 2015 - It's a Wrap! Learn different textile and machine embroidery techniques to make your own unique fabrics, which can be turned into book wraps, needle case and bags. To be held in Ipswich. 7th.8th & 9th November 2014 - Oporto, Portugal. Still awaiting details! Foundation piecing and Applique Dabble days. Using the surrounding countryside as inspiration we will make small quilts / wall-hangings, using different patchwork and applique techniques, based on collage or iPad designs. We will experiment using different hand sewing techniques, including couching, the use of freezer paper, needle turn applique and embroidery stitches. Annette will also show you how to use pastel sticks to make very original works of art which can also be stitched. Sewing machines will also be available.